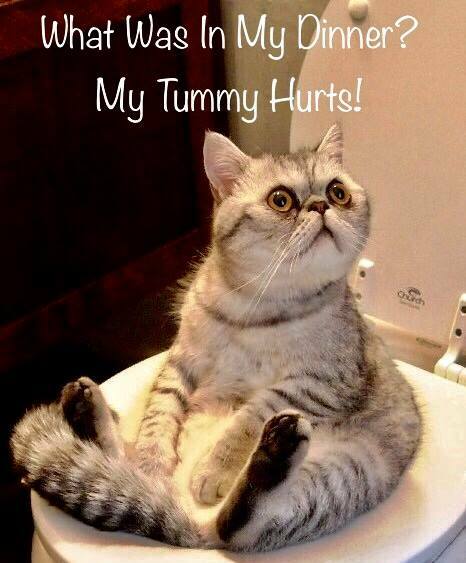 Does your kitty have occasional bouts of vomiting, indigestion or diarrhea? Long term bowel inflammation can lead to IBD and intestinal lymphoma. What many cat owners don't realize is that there are some very common culprits in their kitty's food and treats. If your cat has a sensitive stomach, it's best to avoid poultry and fish as these are big allergens. Dry cat food is loaded with hard to digest carbohydrates and even grain-free dry kibble is problematic. What seems to work best is a combination of raw frozen, freeze dried and canned using a novel protein source. Also using a few tummy soothers such as Soothing Digestive Relief and Power Probiotic can really help too. Finicky cats may resist change and can be very challenging but with patience, they will come around. Giving them unhealthy food they like may seem easier but it worsens inflammation and just perpetuates the problem. Take it slow with small changes and over time, your cat will feel so much better!